WHAT CAUSES THE NEED FOR MY CHIMNEY'S REPAIRS OR REBUILDS? ­You rely on your chimney to channel smoke up and out, but when the chimney's outside or inside walls crack, you may have serious problems. 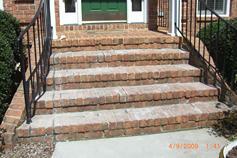 Mortar joints between stone or bricks are likely to flake, wash out or crack after 10 or 30 years of exposure. What causes these cracks? The freeze-thaw action of colder climates is usually the culprit. Moisture can make its way into the masonry, damaging it and any attached object made of metal like a lightning rod or satellite dish. The risk of damage to your chimney increases if you live in a­n historic home. Before the use of natural gas or oil for heat, coal was used. Chimneys built to accommodate the high heat of burning coal that powered boilers are oversized and too cool for oil or natural gas conditions. This kind of chimney can lead to greater risk of condensation and resulting damage. The topmost area of the interior walls of the chimney are the most vulnerable, as well as being the most difficult to notice unless you spend time on your roof. Unfortunately, neglect and lack of inspection often lead to the need for major repairs. Damaged chimneys can allow toxic gases such as carbon monoxide to leak into your house, creating a serious health hazard. ­Be sure to have your chimney checked every year for damage. We will inspect for missing or loose Bricks Mortor or Flashing on maintenance task for brick masonry is the repair of mortar joints. 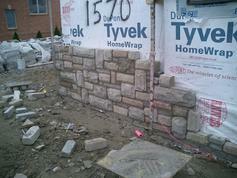 & All Masonry & Brick Repairs. 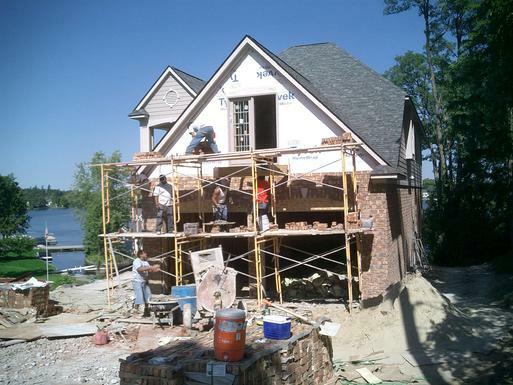 Brick an Entire House or Addition!! offer valid for labor only & not the cost of materials. "Let Us Fix That Leak"
OUR MISSION: Is to Proudly & Honestly Provide "You the Customer" with the Highest Quality Of Work & Sevice While Promoting Chimney Safety Through Our Dedication To The Professional Chimney Industry. 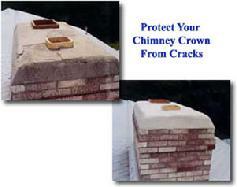 CrownSeal is a long-term repair solution to stop water intrusion, which is the major cause of chimney deterioration. When the crown fails, the entire chimney system is more susceptible to damage. 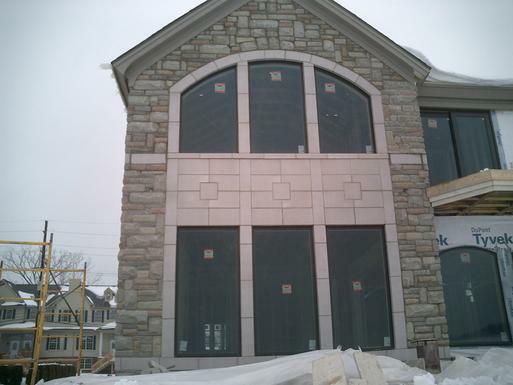 A Chim Chimnee & Masonry Professionally Installed Crown Seal application is guaranteed to protect your investment and save you money. The on the top left, shows a cracked, damaged crown which will allow water to seep into the chimney with every rain. Compare this to the chimney sealed with a Crown Seal repair shown below on the left. Does Your Chimney Look Like This? 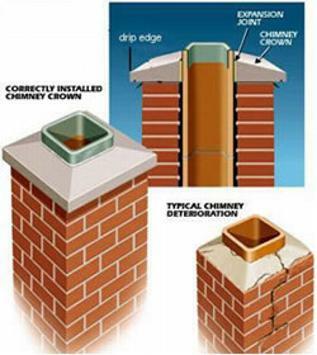 A chimney crown prevents water from seeping into the masonry below. Water damaged or cracked chimney crowns can lead to costly chimney repairs. 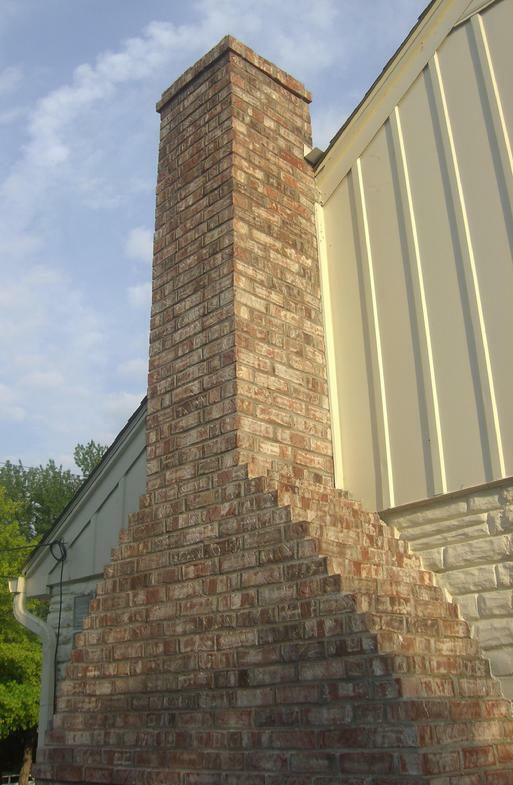 Chimneys require special attention to prevent costly damage, which results from water prevention. 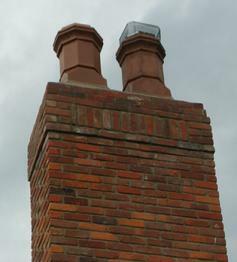 Chimneys that project above the roofline and are highly vulnerable to the elements. A complete chimney protection program should include repairing the crown with Crown Coat, as well as a treatment with ChimneySaver, a 100% * siloxane based water repellent. 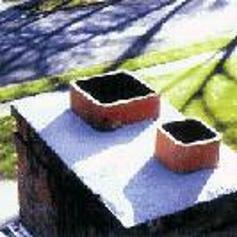 Flue tiles should have a chimney cap to help prevent water damage to chimney interiors. Attention should also be given to the flashing around the base of the chimney and all visible points of water entry should be repaired. 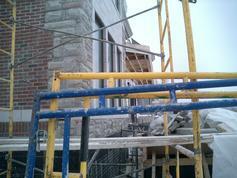 Maintenance of a chimney exterior is critical to the long term safety and performance of masonry chimneys. SaverSystems, the manufacturer of Chimney Saver products, warrants that Crown Coat Brushable Sealant, when used to coat or repair masonry chimney crowns, will remain intact and in place for 15 years from the date of application to an residential chimney crown according to label instructions when properly applied by a professional contractor. This warranty does not cover spalling, abrading, faulty construction and/or other defects which might erode coated surfaces. Remember Chimney Leaks Cause "Dangerous Mold"
Leaks .... Leaks .... and more Dangerous Leaks!!!!! If You Have a Leak, Call Us Right Away!!! 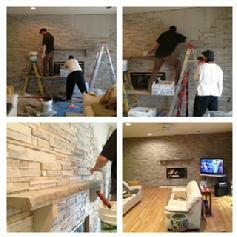 "We Are The Chimney Leak Experts"
and not just Chimney Sweeps. Call Us to Make Sure Your Repairs are Done Right. These Money Saving Internet Coupons!!! 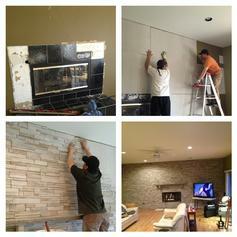 Call Chim Chimney to Make Sure Your Repairs are Done Right. For Centuries, the Fireplace has been the Focal point of Family Gatherings Throughout the World. The Tranquility and Warmth of a Glowing Flame brings People Together, Sharing Tales and Forging Friendships, that Endure for Years to Come. (10) Locations To Serve You Better! !